You Say You Want the Sand Between Your Toes? This is for those of you who want to plan your own wedding on the sand in Laguna Beach, as opposed to using one of the beachfront properties that offer that option. It is doable, but there are some rules to follow, and reservations to make. Make sure you’re good with an “informal” wedding, because that’s what it’s going to be! In other words, if you’re thinking black tuxedos and a ball gown, this is probably not the right decision for you. It’s also extremely important, in my opinion, that you choose a photographer familiar with the characteristics of our beaches. Just one critical factor to consider are the tides, as the sand on some beaches virtually disappears at high tide. Just like the fact that photographing a corporate event is very different from shooting a wedding, a beach ceremony has idiosyncrasies that a ballroom or country club doesn’t. Here’s a chance to use some cute beachy details. There are many beautiful coves in Laguna! Make a day of it and check them all out. And when you have your short list, visit again at the specific time of day you’re thinking of having your ceremony. Look at the shadows. If the sun is still high you can get harsh shadows and/or squinting if you’re oriented in a particular direction. Neither makes for great photos. And, if you want shots of the sun hitting the horizon, you need to make sure it isn’t setting ‘around the bend’. Pay attention to all the details. 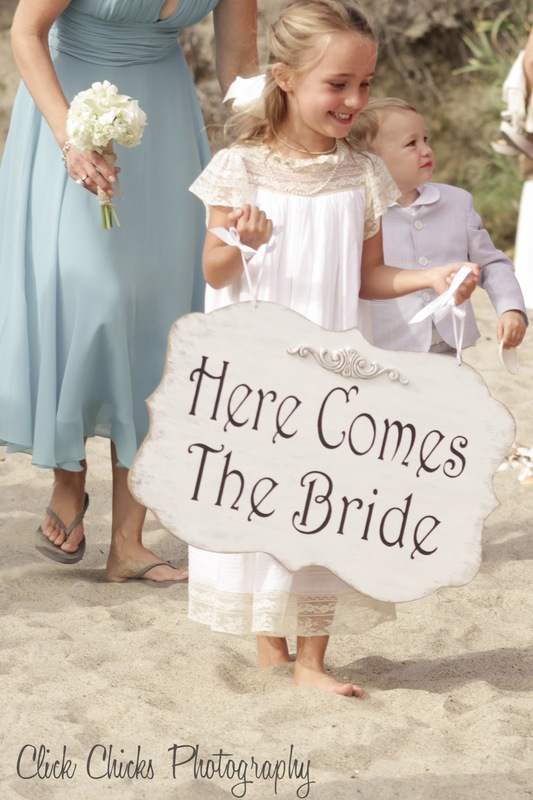 Such a cute sign…and flower girl! Most beach locations are restricted from Memorial Day weekend through Labor Day. If you are determined to have a summer ceremony, you can choose from those directly below Heisler Park. They are: North Main Beach, Rockpile, Picnic Beach, and Diver’s Cove. Be sure to have your guests stay at a hotel within walking distance, because parking will definitely be at a premium. Don’t worry — there are many to choose from. At other times of year, you can get a permit for any of our Laguna beaches, other than those south of Victoria Beach, which don’t require one. 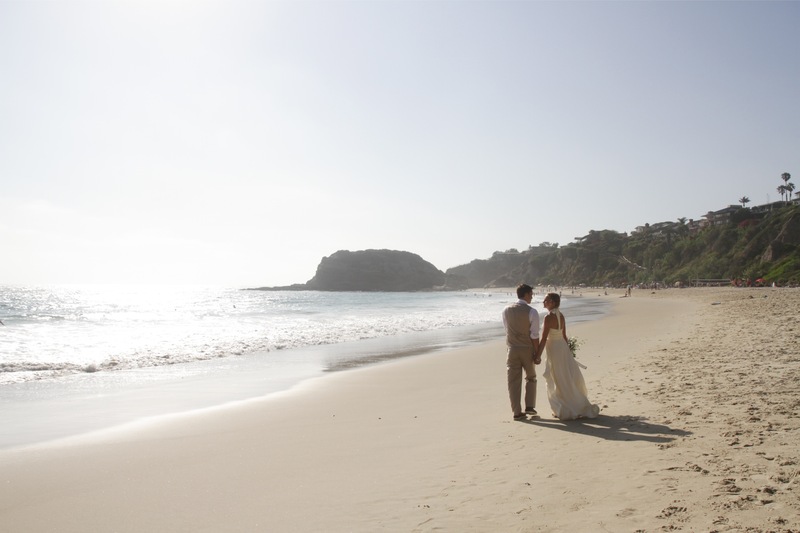 This NY couple chose to say their “I Do’s” at Tablerock Beach, just south of Aliso Creek. Maximum number of people, including the wedding party is 95. However, capacity at the Gazebo and Monument Point in Heisler is 50. No tables, chairs, archways, or structures of any type. “Decorations” are allowed, but fixed with ribbon or string and removed afterward. No tape, nails, staples, etc. No blocking of paths or walkways. No rice, birdseed, confetti or flower petals may be thrown. No alcohol or champagne toasts. No open flame, including candles. A happy, and gorgeous, couple right after their ceremony! 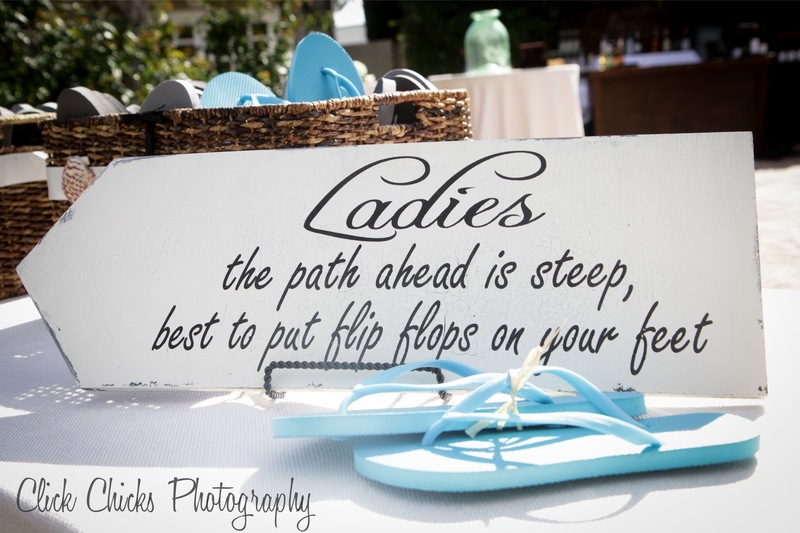 A fun and thoughtful idea to protect your female guests’ high heels. 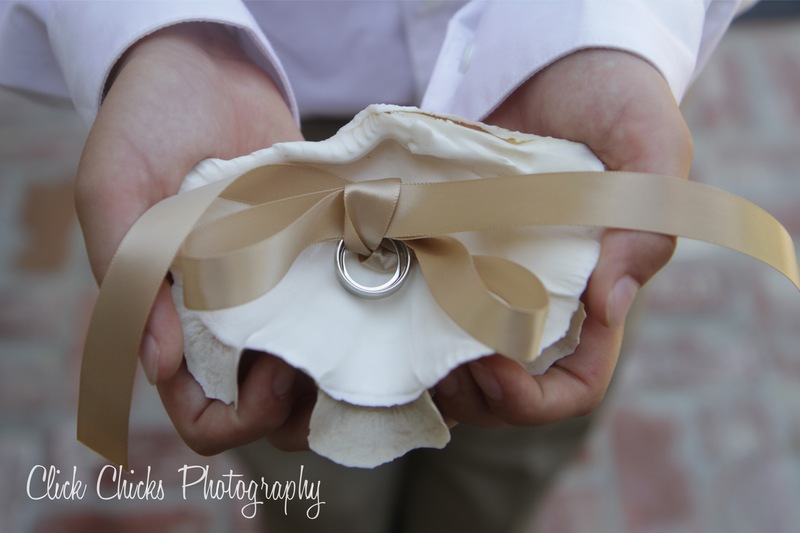 This entry was posted in Uncategorized and tagged Click Chicks Photography, Laguna Beach oceanfront venues, laguna beach photography, laguna beach sand wedding, laguna beach wedding, laguna beach wedding photographer, laguna beach wedding photographers, Orange County wedding photographer.